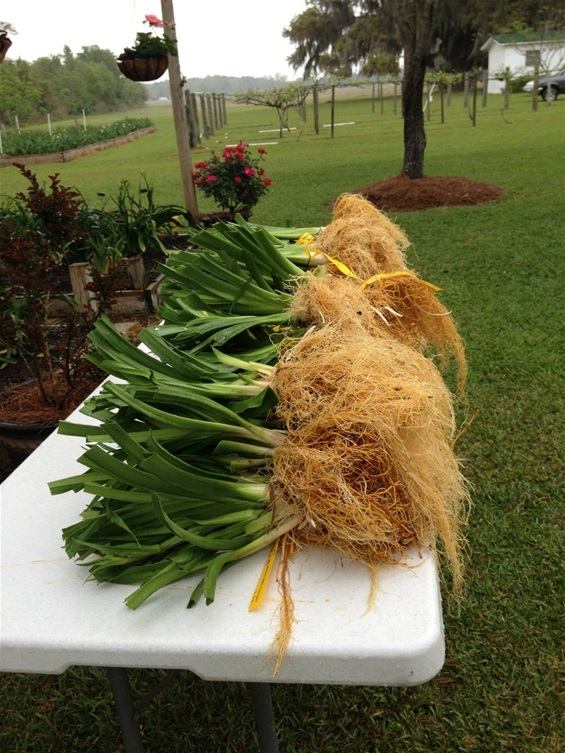 Jammin's Daylily Garden our plants are inspected by the State of Georgia and our nursery is under a regular spraying program to ensure the healthiest and highest quality plants. 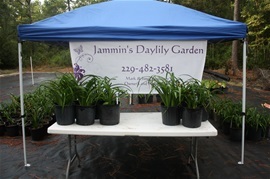 We have potted and freshly dug daylilies of your choice if you prefer to pick your daylilies up from our nursery. We guarantee to dig fresh, blooming size fans. If your are not completely satisfied with quality of the plants you receive, please do not plant them and return them immediately for full refund. Bonus plants are of our choice, we try to send a bonus of at least 20% value of your total order. We Guaranntee our plants for 6 months after that time a new order must be submitted. It is not acceptable to re-sell a new Jammin's Daylily Garden Introduction at a discounted price within 1 year of release. We ask that you do not resell at reduced prices therefore undercutting us and devaluing the market price of the introduction. Anyone doing this will not be sold plants again – Thanks for your cooperation. We do sell out of many varieties of daylilies during the spring, contact us for availability of the varieties, and please get your orders in early to avoid disappointment. We ship all plants bare root, trimmed, washed, wrapped and boxed via USPS Priority Mail. Shipping cost are $15.00 for basic shipping (double fan), plus $1.00 per extra fan ordered. Payment is due at time order is placed . We Only Ship to USA. Please provide accurate mailing information and a contact number for all orders. Sales tax for the State of Georgia will be added at 7% to all orders due to new laws on sales tax for the State of Georgia. EMAIL TO USE IS THIS ONE BELOW. PLEASE DON'T USE SIMPLESITE MESSAGING DUE TO LIMITED CHARACTER IN TYPING. Orders: Can be placed by email we will get back with you via email concerning availability of daylilies you have choosen. We accept Paypal, Visa, Mastercard, Discover, American Express, Checks or Money Orders just let us know your preference. Email orders are required for tracking purposes, due to we work full time jobs in addition to our nursery. Thank you so much for viewing our website! ***If you have any questions please feel to contact us via email. Do you sell gift certificates for Christmas? I would like to order a "Buffalo Thunder" daylily.